Discover the hidden gems of Sri Lanka! 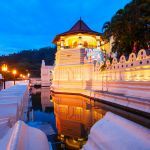 From UNESCO World Heritage sites to lesser known, pristine beach destination, this private Sri Lanka tour offers incredible experiences off the beaten path. Experience the VIP Enchanting Service, which includes a fast track personal airport meet and greet facility for your international arrival and departure, airport lounge access, and complimentary premium beverages (including beer) and snacks during your car journeys. 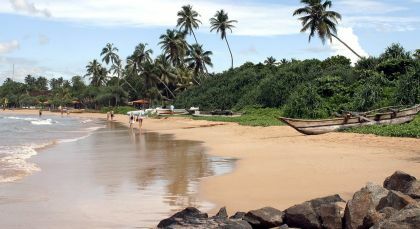 Negombo is a bustling beach town with plenty of opportunities for rest and relaxation! Nestled on the rim of Negombo Lagoon, the town boasts a long stretch of buzzing yet beautiful beach, and is located close to Colombo. 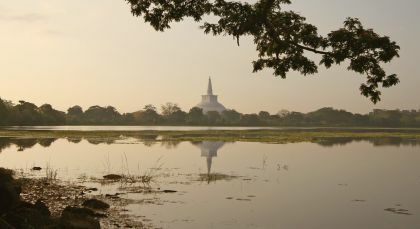 Declared a world heritage city by UNESCO, the sacred city of Anuradapura is considered Sri Lanka’s first known kingdom and the Island’s capital for many centuries. Uncover an ancient world with your tour of what was once a sacred capital city over one thousand years ago. Observe some of the largest bell-shaped dagobas (Buddhist stupas) in the country, made of small sundried bricks. There are also ancient drinking water reservoirs, various sculptures, palaces and temples to explore. Witness the sacred Bo (Bodhi) tree, that was grown from a sapling of the very tree that Lord Buddha sat under when he attained enlightenment 2,5000 years ago. Today it’s recorded as the oldest tree in history! Visit Isurumuniya Vihara, a temple and monastery, where you can admire fascinating stone carvings of lovers, elephants and a royal family. There’s also a reclining Buddha that has been cut from the rock. This culturally-rich is generously surrounded by lakes, paddy fields and undulating rocks. Kandy was established in the 14th century and was the last independent city and capital of the Singhalese kingdom. Delve into regality as you explore the last royal capital. Venture to Dalda Maligawa, the gold-roofed Temple of the Tooth, which houses the most sacred Buddhist relic, a tooth of Lord Buddha. Observe the many pilgrims conducting pujas (prayers) throughout the temple complex. Surrounded by aromatic tea plantations, magnificent hills and set by a lake, you can also enjoy some wonderful scenic views. 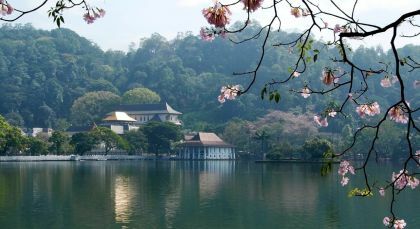 Take a leisurely stroll around Lake Kandy, a protected lake where fishing is banned. Sip up the history of tea drinking pioneers like Lipton and Taylor at the Ceylon Tea Museum, a 1920s vintage tea factory. Enjoy traditional dance performances that capture the imagination and connect audiences to the tribal roots of the performers. Experience the charming feel of life on a Sinhalese hill station at this tiny hill country town. Tea lovers welcome! The renowned pure Ceylon tea awaits you in Hatton. 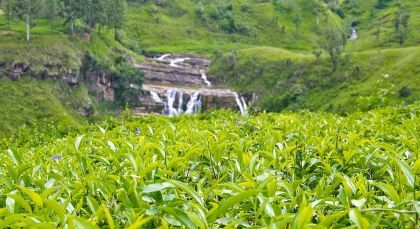 Embark on an insightful hour-long visit to discover more about the history and methods of cultivation at a local tea factory. Learn how tea is processed, right from the leaf to brew, and observe the grading techniques employed to make the finest blends. For tea enthusiasts, this is the perfect chance to shop for the world-famous blend. Naturally, no visit is complete without tasting a quality cup yourself. 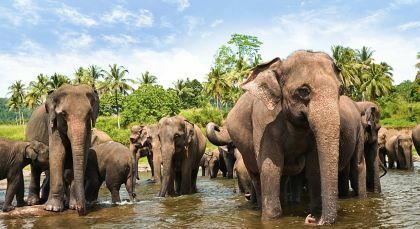 Yala National Park is a sprawling natural paradise teeming with wildlife, in southeastern Sri Lanka. Safari in style with an unforgettable adventure on a morning or evening jeep safari through the forests of Yala National Park. You can enjoy an upfront and close encounter with the abundance of wildlife who live here. There are about 44 species of mammals, including elephants and deer, and many reptiles and lagoon fauna. If you enjoy birdwatching then there are 125 bird species to be spotted, particularly around the wetlands where waterbirds and waders have made a home. The park is home to the endangered subspecies of the Panthera Pardus Kotiya, which is only found in Sri Lanka. Kindly note that Yala sometimes closes during the months of September and October for maintenance. If you just want to enjoy the sun and the sea in calm serenity, then this is the place for you. 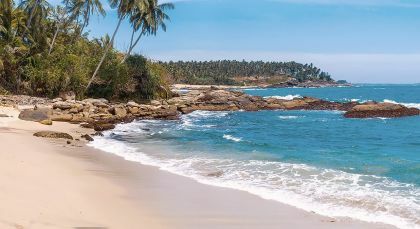 Galle offers a unique historical and cultural perspective into the development of Sri Lanka during its colonial era. 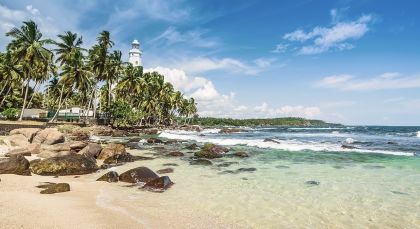 Unearth history and glance into what life in a 16th century port city would have been like as you experience the legends and myths of Galle Fort as you amble around. There are many archaeological artefacts on display at the Maritime Museum, including 800 year old items salvaged from shipwrecks. Witness how today’s locals live within this colossal Dutch fortress and UNESCO World Heritage site. There is an abundance of chic and boutique shops, where you can purchase gems, handmade lace and antiques. Unwind in pretty garden and terrace cafés, and admire the coastal beds of pure blue ocean and coral reefs. 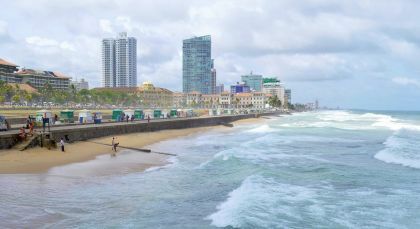 Colombo, the bustling capital city of Sri Lanka, has something for everyone! A strategic port on the ancient Spice Route, the city is a potpourri of colonial influence, from the British to the Portuguese and Dutch. Venture out to explore the interesting and historical landmarks of this colourful and teeming city. Wander the exciting Pettah area where you can soak up the hustle and bustle of the bazaar. Religions peacefully co-exist in this neighborhood and you can discover many temples and mosques. Discover the affluent residential area of Cinnamon Gardens and take a trip to the town hall, located close to Independent Square and Old Parliament. If you get tired of the urban jungle, the sea front awaits you at Galle Face Green. As Colombo strives to join the cosmopolitan chic clique, there are an increasing number of stylish eateries and boutique galleries for you to indulge in. Accommodation (on a twin-sharing basis) on the indicated meal plan for 17 nights.